Fig. 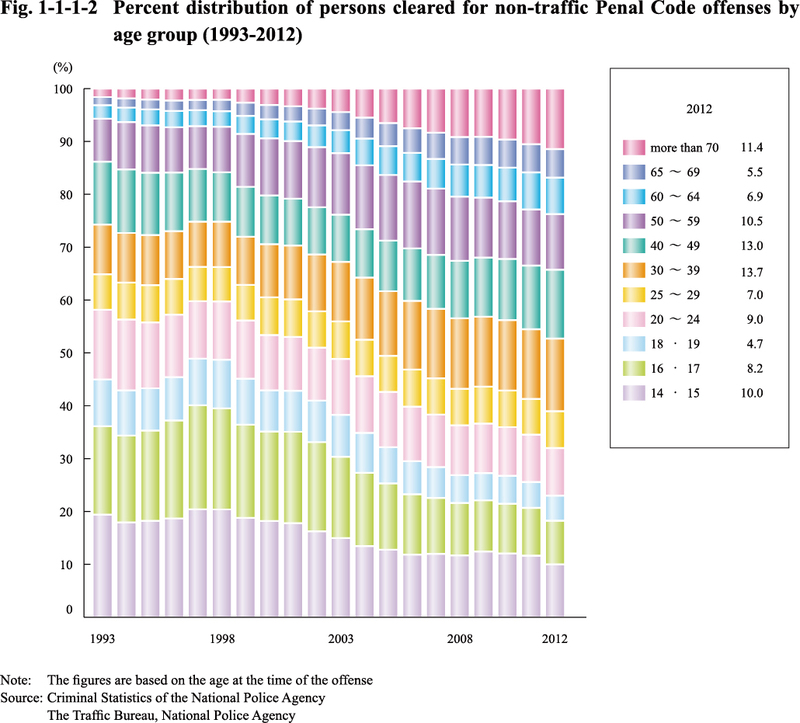 1-1-1-1 shows the number of reported cases, number of persons cleared and clearance rate for Penal Code offenses (See Appendix 1-1). 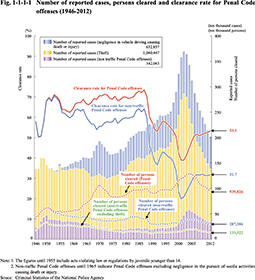 The crime rate (i.e., number of reported cases per 100,000 inhabitants) for Penal Code offenses basically followed the same trend as the number of reported cases. (See Appendix 1-1). Fig. 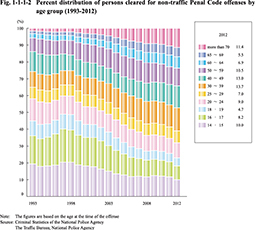 1-1-1-2 shows the percent distribution of persons cleared for non-traffic Penal Code offenses by age group (See the Appendix for females).